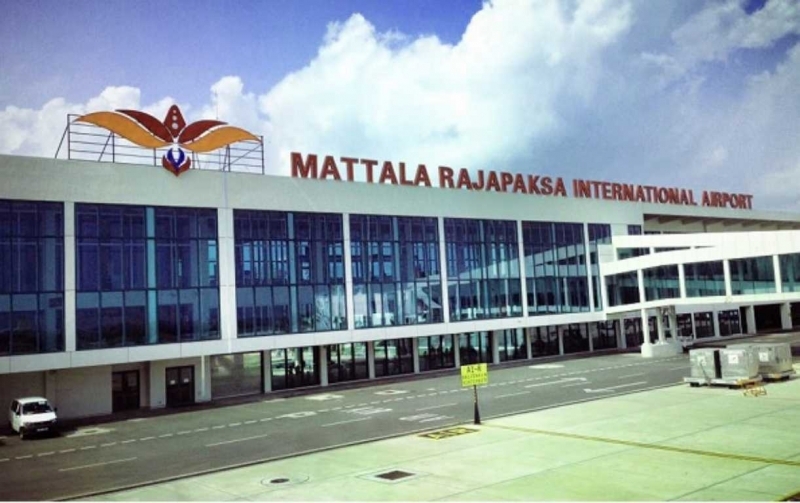 Mattala Rajapaksa International Airport (MRIA) (IATA: HRI, ICAO: VCRI) is an international airport serving southeast Sri Lanka. 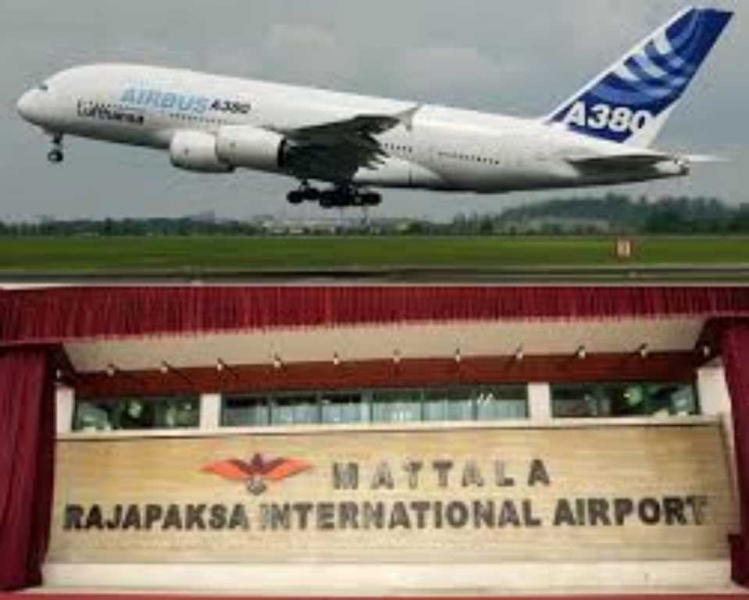 Rajapaksa International Airport (also known as the Hambantota International Airport (HIA), Mattala Rajapaksa International Airport (MRIA) is an international airport serving the city of Hambantota in southeast Sri Lanka. 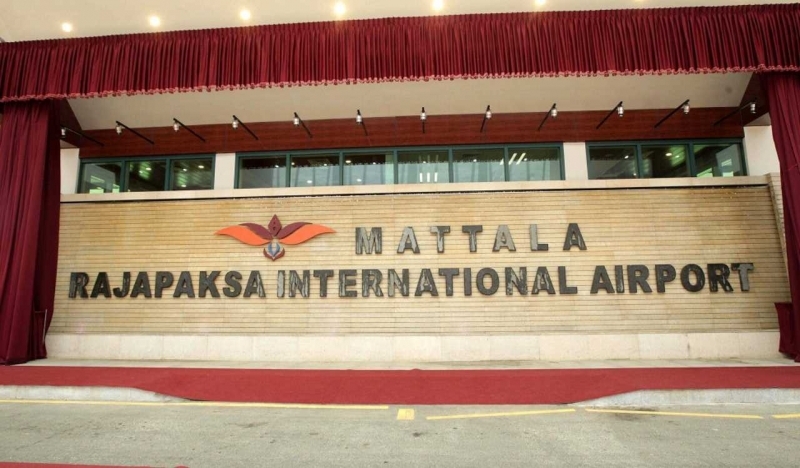 Upon completion, Mattala International Airport will be Sri Lanka’s second international airport, after Bandaranayake International Airport (BIA) and the Ratmalana Airport is a domestic airport of Colombo. It will also serve as the secondary hubs for Sri Lankan Airlines and Mihin Lanka. It was initially planned to build an international airport serving the south of Sri Lanka at Weerawila, but the plans were scrapped due to environmental concerns. The site was then moved to Mattala, a small town 15 km north of Hambantota. Construction on the $209 million first phase of the airport began in November 2009; it will be opened on 18 March 2013. 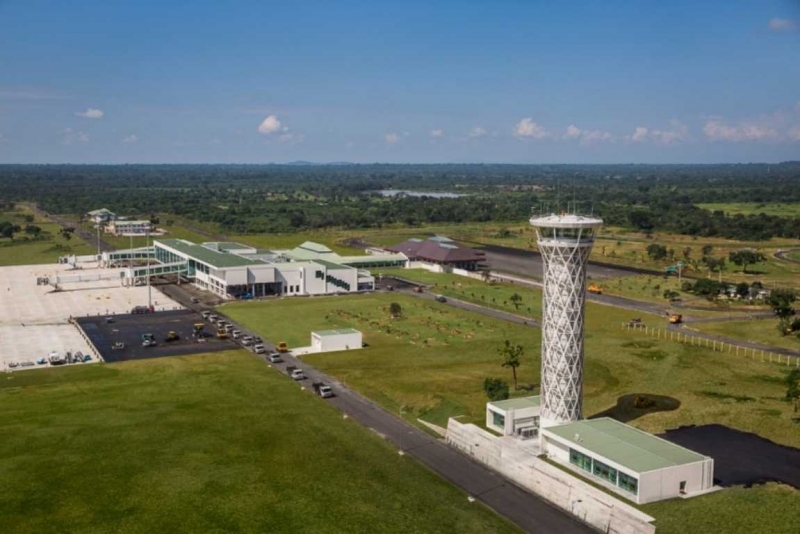 The new international airport is expected to expand the local aviation industry whilst being a catalyst for the country’s economic development enabling international trade, tourism, vocational training and employment. It is being implemented as an eco-friendly project. The airport is estimated to cost US $210 million and, by the end of construction, will cover 2,000 hectares. It is being built to be compatible with the latest Airbus A380 aircraft and has been designed according to recommendations of the International Civil Aviation Organization. The airport is designed to facilitate for over 800 foreign passengers at peak hours and several local passengers per every 1000 km² inside the buildings. It will be made to support air-sea cargo transshipment in conjunction with the nearby Hambantota Port, which is about 15 miles away, and would act as an alternative to the Bandaranaike International Airport (BIA) from the date of its completion in 2011. The Chinese government is providing financial assistance for the project. 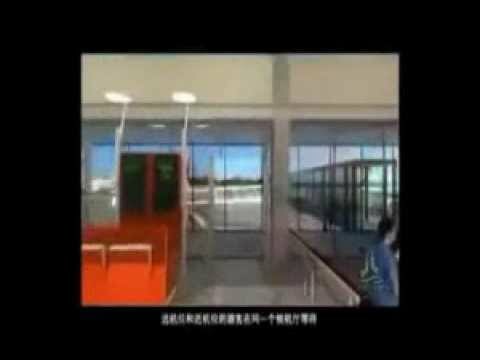 The airport is being constructed by the China Harbour Engineering Company. Upon completion, the airport will be operated by Airport and Aviation Services (Sri Lanka) Ltd. The runway, apron and taxiways were fully constructed by the end of February 2012. Inaugural test flight landed in the airport at 12.38 p.m. on 16 October 2012. Sri Lanka has a myriad of historical sites all over to visit. History unfolds before a visitor’s eyes in Sri Lanka as if in a live broadcast. A concerned visitor might be able to resort to a sort of time travel, effortlessly and measure the depth and breadth of the culture and perhaps even the way ancients thought and behaved. Number of identified archeological sites surpasses the amount in whole of China. They span for 2500 years only, because no stone inscriptions were deciphered belonging to earlier periods. Let’s keep our fingers crossed on that matter. Communicational mishaps are comparatively less in Sri Lanka. With a literacy rate of the population reaching second place in Asia, the probability of communicational mishaps are minimal. Let loosening your tantrums are minimal, as well. Sri Lanka has remarkably improved tourist safety and security. Civil wars were a bygone era. The surplus resources were re-directed to development and public security. Friendly and helping attitude of the general public and the unabashed willingness to respect foreigners. Some socialogists attribute this unique friendlyness to heredity and give varying reasons. More to see in less travel. There are several ecological zones, such as rain forest, flood plains, irrigated land, coniferous woods, bird marshes, balmy beaches and high elevation towns getting occasional morning frost, compacted together into a land mass 268 miles long and 139 miles wide. Experience more with less fatigue in minimal time. That’s what a tourist really needs. Select your wildlife destinations from a large list of sanctuaries. Sri Lanka has a very high bird density. You will be surprised to encounter a lot of feathered marvals within any home garden. Apart from wildlife reservations, there are elephant orphanages and turtle hatcheries. Good beaches are available all around. All beaches are sandy unless coral reefs reach the shoreline as in extreme north. East has a world famous sea-surfing beach. There are several reputed recluses for meditating, spiritual cleansing, physical rejuvanating or simply relaxing. Advantages of using RIA to enter Sri Lanka. Don’t you think it’s a big advantage to start your holiday right away in countryside where the holiday truly belongs. Modern airport facility is in the proximity of beaches, hotels, resorts, ruins and wild-life reservations. Obviously the hotels, motels and lodges here are affordable than in the capital city. Mattala is situated on southern-most sea coast, 240 km away from Colombo. Access to Colombo city is quicker than ever, using the Southern Express Highway. in the glorious past where the distinct horizontally-stick-reinforced silk sails of Chinese treasure junks called sampans flutter majestically. You might as well dwell deeply into your thoughts and almost certainly hear the cacophony of Chinese Greek, Yemeni, Siamese and Indonesian sailors and traders mingling together and haggling aloud. Public transportation is not recommended for a visitor unless and until the visitor becomes highly street-wise. Furthermore he must have, twice the time otherwise required, at his disposal. The apparent gain in fare will be easily offset by long waiting times. Undoubtedly the real cost will be more at the end. Renting a car gives you the freedom of pace selection in either hot or lukewarm situations. Renting a car with driver is the most popular way of the standard tourist. It relieves you to concentrate fully on the real purpose and the task of the visit. Consider renting a car with driver from Lakpura Travels at Rajapaksa International Airport (RIA). Once you decide on your way-points and the destination, let the Lakpura personnel optimally utilize the time factor. Our expertise will be invaluable in saving time and money. The strength of Lakpura Car Rental Service lies in hand picked and well groomed staff. It is true that we are specialists, but we take utmost care, never to take the famous Sri Lankan smile away from our faces, and the courtesy and mannerism from our heart. Sri Lankan Airlines provides ground services for all airlines that operate into Sri Lanka. It has gained a reputation with customer airlines for excellence in providing a friendly and efficient service. 6th Airline in the world and 1st in South Asia to be awarded ISAGO certification in 2009, which is presented by the International Air Transport Association (lATA), the industry’s global governing body. ISAGO is globally accepted as the industry best practice programme for airport ground handling operations. 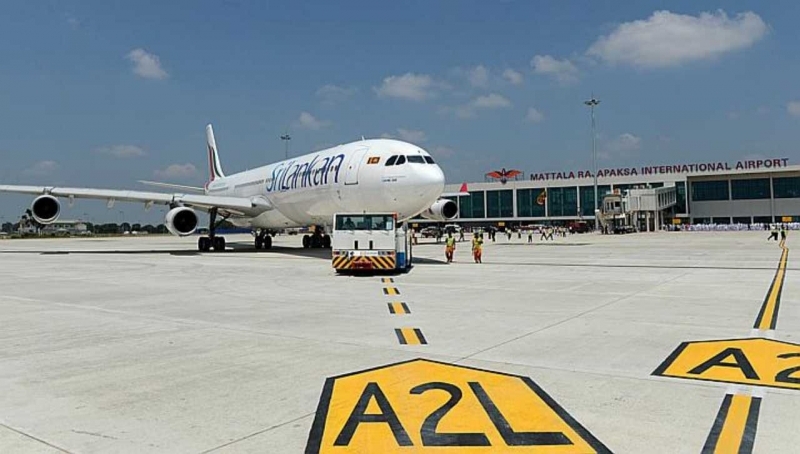 Sri Lankan Airlines will be the exclusive ground handler at AASL (Airports and Aviation Services (Sri Lanka) Limited) airports and will encompass: Passenger handling Baggage services Cargo handling Services for charters and privately owned aircraft. Airport and Aviation Services (Sri Lanka) Ltd is a fully government owned company with statutory powers to manage and develop civil airports in Sri Lanka. It is one of the leading public business undertakings making a great contribution to the national economy and it is the institutional mechanism of the Government of Sri Lanka (GOSL) through which economic benefits of civil aviation industry are channeled to the nations coffers. The company is among the top most profit-making blue chip companies in Sri Lanka. It is actively involved in the national infrastructure development drive of the GOSL especially in the field of aviation and the construction of the Southern International Airport at Mattala in the Hambantota District is one of such mega project, which is currently on its public works schedule. The company has identified the need for doubling the handling capacity at Bandaranaike International Airport(BIA) within the next five years and construction works necessary for such capacity enhancement are planned to commence in the near future. AASL is being transformed into a marketing oriented blue-chip public company capable of withstanding competition and benefit from competitive advantage. The company is planning to promote domestic aviation using the existing infrastructure at civil aerodromes scattered around the country and spread its wings covering the whole island. Sri Lanka’s strategic geographical location as a gateway between the east and west is attracting a significant increase in cargo throughput. Some of the significant achievements are: Cargo operations in 2010 increased 21% over the previous year (second-highest growth ever recorded! at BIA) Export cargo increased by 19% Import cargo rose by 25% An increase in capacity, flight frequencies and cargo flights A ‘green channel’ introduced for live animals and perishables, cold room facilities and sophisticated screening facilities, attracting freight forwarders.